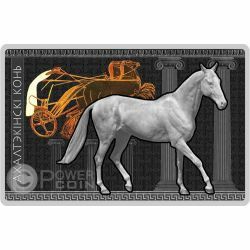 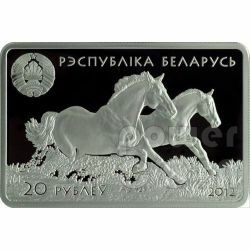 First coin of the series "Horses" dedicated to breeds of horses which have a unique influence on the development of horse breeding in the world. 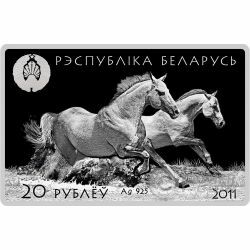 One of the oldest and beautiful races is Akhal-Teke. 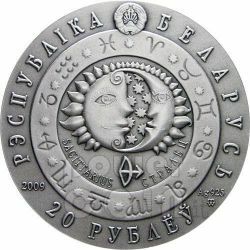 Issued by the National Bank of the Republic of Belarus. 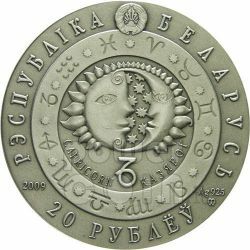 Second coin of the series "Horses" dedicated to breeds of horses which have a unique influence on the development of horse breeding in the world. 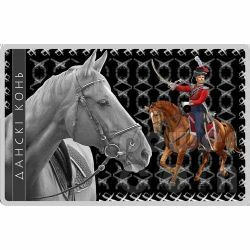 Don horses were made famous by the Don Cossacks, who between 1812 and 1814 helped drive Napoleon's troops from Russia. 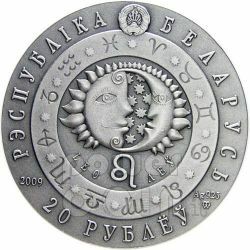 Issued by the National Bank of the Republic of Belarus. 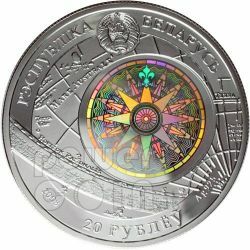 Second coin of the series "Magic of the Dance" dedicated to the dances from different regions of the world. 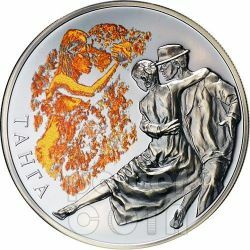 Issued by the National Bank of the Republic of Belarus and it honors Argentine Tango, one of the most passionate dance in the world. 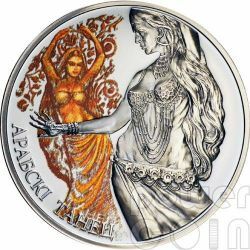 First coin of the series "Magic of the Dance" dedicated to the dances from different regions of the world. 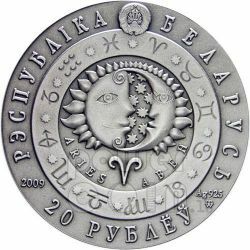 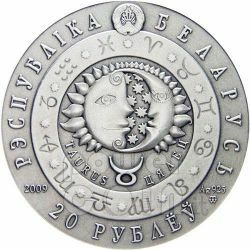 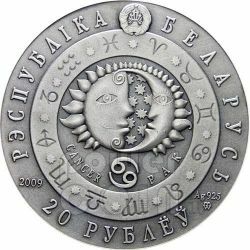 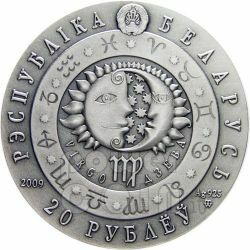 Issued by the National Bank of the Republic of Belarus and it honors Arabic Belly Dance, one of the oldest dances in the world! 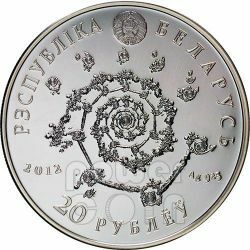 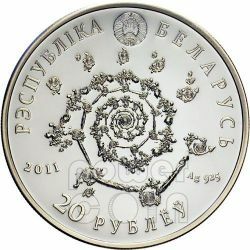 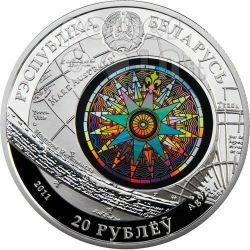 The “Kruzenshtern” is the sixth and the last coin issued by the National Bank of the Republic of Belarus in the “Sailing ships” series. 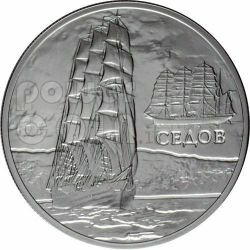 The series of commemorative coins has been de-voted to the most magnificent and recognizable ships. 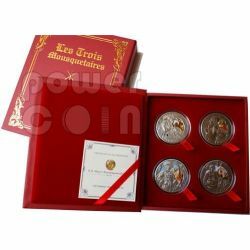 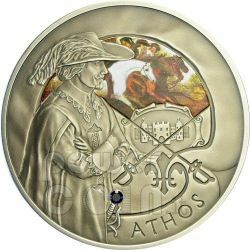 This silver collector coin set containing four coins: Aramis, Athos, Porthos and dArtagnan has been issued by the National Bank of the Republic of Belarus in connection with the 165th anniversary of the first issue in 1844 of the Alexandre Dumas famous novel - Les Trois Mousquetaires. 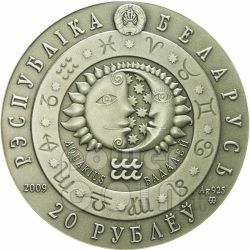 Amerigo Vespucci is the third coin issue by the National Bank of Belarus in the "Sailing ships" series. It is one of the most magnificent and most recognizable ship in the world. 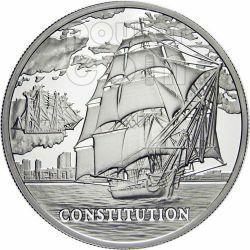 USS Constitution is the fourth coin issued by the National Bank of Belarus in the "Sailing Ships" series. 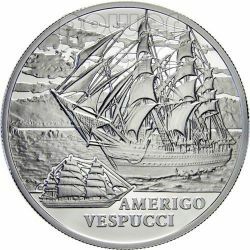 The series of collector coins has been devoted to the most magnificent and recognizable ships. 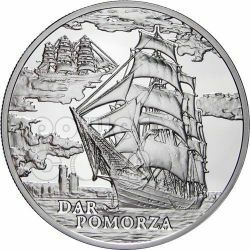 Struck by the Mint of Poland and issued by the National Bank of Belarus, this silver coin is dedicated to the Polish sailing ship, the Dar Pomorza, and features a colourful, eye-catching hologram image on the obverse. 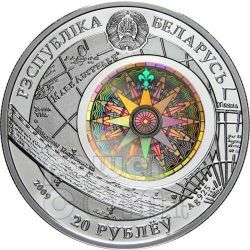 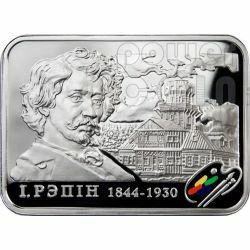 Struck by the Mint of Poland and issued by the National Bank of Belarus, this silver coin is dedicated to the Russian sailing ship, the Sedov, and features a colourful, eye-catching hologram image on the obverse. 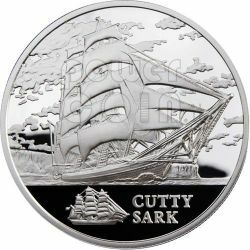 "Cutty Sark" is the fifth coin in the "Sailing Ships" series. 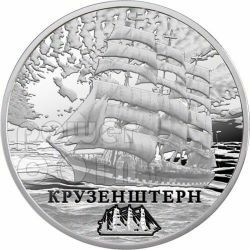 The series of commemorative coins has been devoted to the most magnificent and recognizable ships. 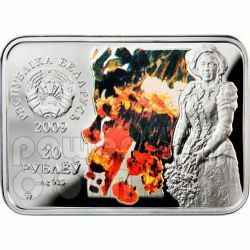 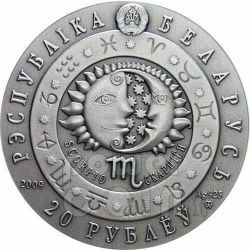 Their unique charm and excellence have been represented on the coins in a dynamic way. 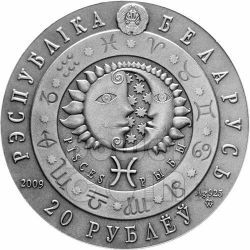 Coins are produced using the integral HOLOGRAM technology with an image of the wind rose. 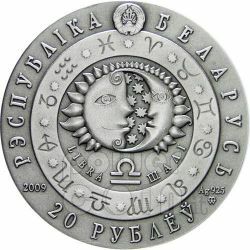 Zodiac Virgo sign silver coin in Antique-Finish quality, finely designed and enriched by Swarovski "circle-shaped" elements. 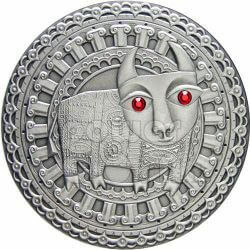 Zodiac Taurus sign silver coin in Antique-Finish quality, finely designed and enriched by Swarovski "circle-shaped" elements. 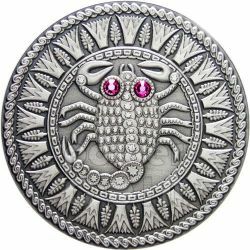 Zodiac Scorpio sign silver coin in Antique-Finish quality, finely designed and enriched by Swarovski "circle-shaped" elements. 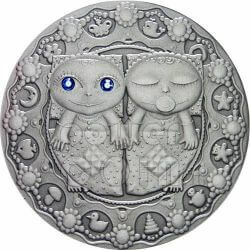 Zodiac Gemini sign silver coin in Antique-Finish quality, finely designed and enriched by Swarovski "circle-shaped" elements. 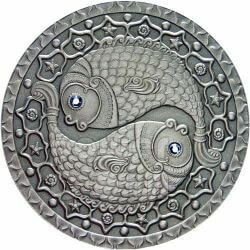 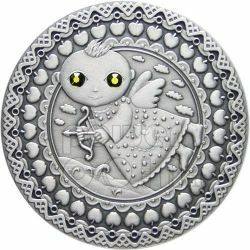 Zodiac Pisces sign silver coin in Antique-Finish quality, finely designed and enriched by Swarovski "circle-shaped" elements. 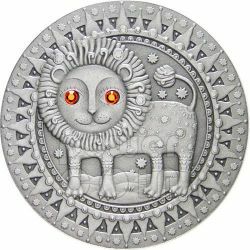 Zodiac Leo sign silver coin in Antique-Finish quality, finely designed and enriched by Swarovski "circle-shaped" elements. 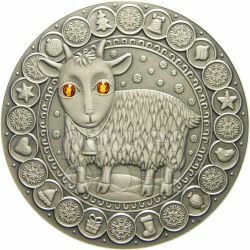 Zodiac Capricorn sign silver coin in Antique-Finish quality, finely designed and enriched by Swarovski "circle-shaped" elements. 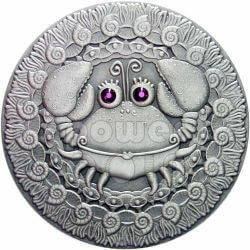 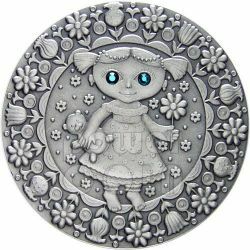 Zodiac Cancer sign silver coin in Antique-Finish quality, finely designed and enriched by Swarovski "circle-shaped" elements. 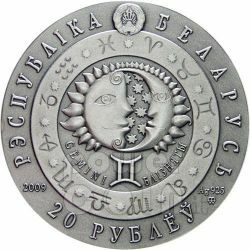 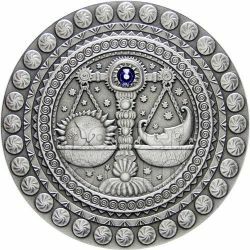 Zodiac Libra sign silver coin in Antique-Finish quality, finely designed and enriched by Swarovski "circle-shaped" elements. 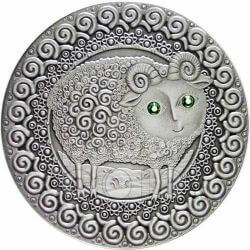 Zodiac Aries sign silver coin in Antique-Finish quality, finely designed and enriched by Swarovski "circle-shaped" elements. 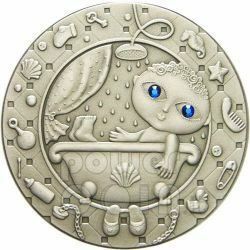 Zodiac Aquarius sign silver coin in Antique-Finish quality, finely designed and enriched by Swarovski "circle-shaped" elements.